Lily Zhong’s track record and proven experience demonstrate her ability to help her clients buy and sell residential real estate. 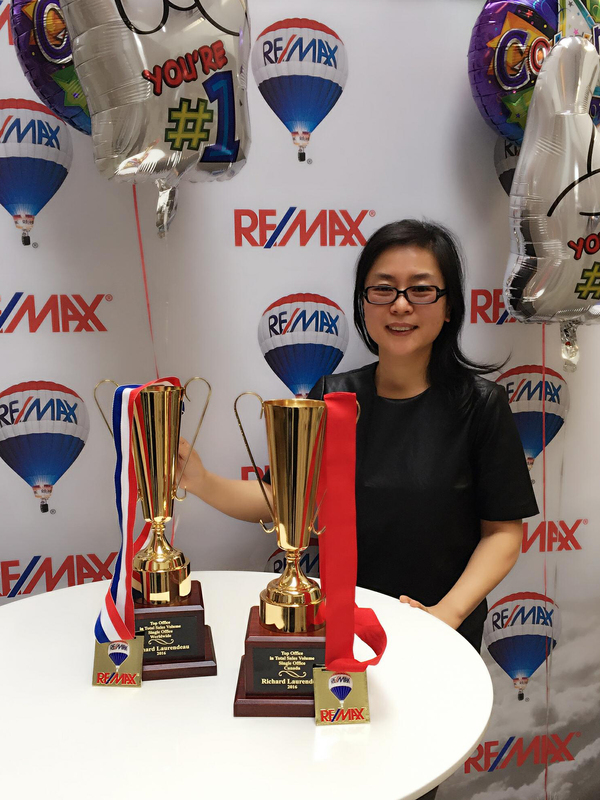 A licensed REALTOR® working with RE/MAX in the Greater Vancouver area since 2010, Lily has consistently been a top performer in this demanding market. Since her first year as a REALTOR® Lily has been an award-winner. She has consistently earned membership in the RE/MAX 100% Club and has been winning ever more prestigious awards every year – including Platinum Club, Chairman’s Club, Diamond Club and Hall of Fame. These RE/MAX performance-based awards recognize agents who consistently help their clients buy and sell the most real estate. In addition, Lily has held “Medallion” status (top 10% of all REALTORS® within the Real Estate Board of Greater Vancouver) – and in 2016 was one of the top 100 agents of the over 9,000 Board members in terms of the value of homes sold. Supported by professional marketer William Ren PhD, and building on her business and technology background in China, Lily has developed sales, marketing and negotiating systems, and cultivated international contacts, that consistently get the job done for her clients. 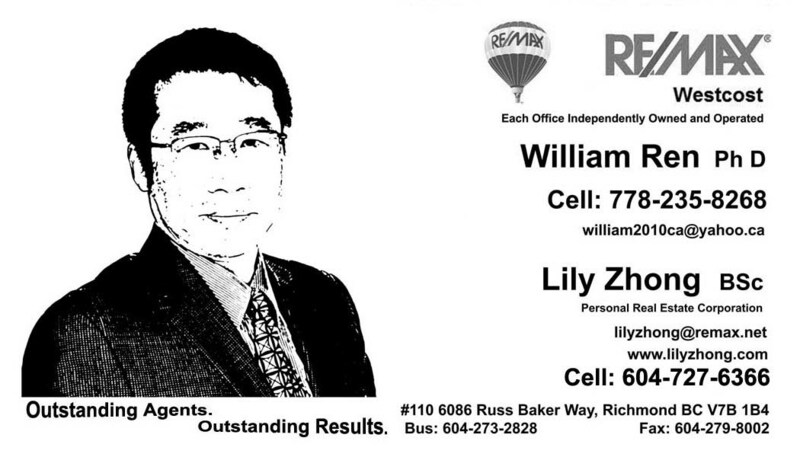 Lily and William specialize in the prestigious sub-areas of South Surrey and White Rock, and have knowledge and connections throughout the region to help home buyers and sellers get the best deals possible.